In the following paper we present a method for delaunay triangulation of point cloud data, together with a mesh simplification method. We present results that demonstrate our method's ability to create polygons of point data with different level of detail. The point cloud was acquired in collaboration with Leica Geosystems and the Östgöta Theater in Norrköping. From the point data we also created a short movie, with arbitrary view-points, which displays an exact representation of the scan site. The movie was made with Leica Geosystems' software Cyclone 5.1.1 to obtain an insight into the triangulation and mesh simplification algorithms implemented in existing software. In our project we worked together on the field with Leica Geosystems, an industry leader and pioneer for solutions that capture, analyze, model and present spatial data. They were pleased with our results and interested in doing more projects together with MT-students. With their equipment and guidance we acquired 24 million points from inside Östgötateatern. 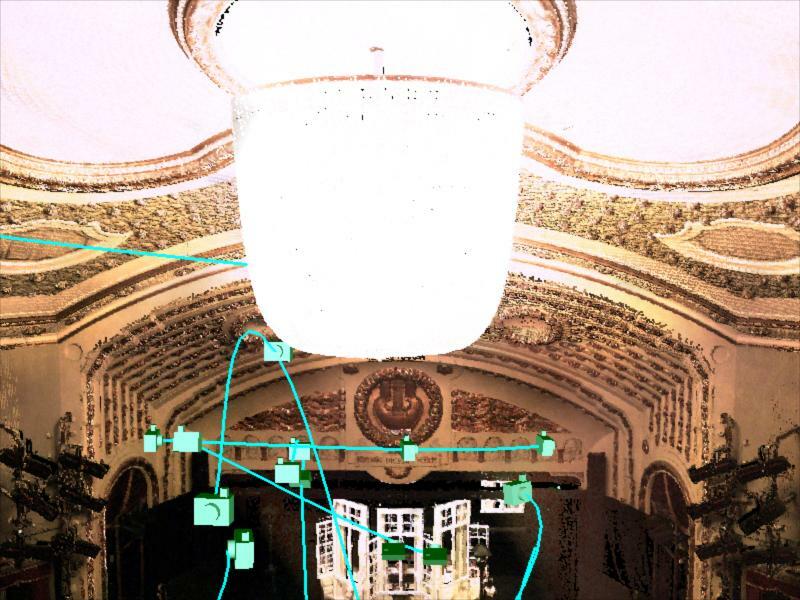 We then implemented our own delaunay triangulation and mesh decimation in Matlab from scratch and used them on parts of the theater's point cloud. Finally an aesthetic and artistic movie was produced and the work was thoroughly documented in our report.